Microfluidics is the study of fluids and gases as they move through small channels (measured of microns) etched in glass, silica or polymer plates. 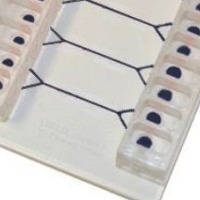 This is a growing area of research, and scientists are beginning to replicate the function of entire organs and even systems on microfluidic biochips. WPI has partnered with several cutting edge manufacturers to bring your a solid microfluidic offering, which includes a variety of pumps and biochips. 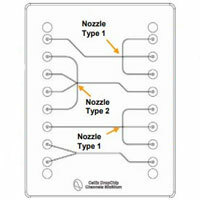 We offer a variety of microfluidic biochips. All biochips are: Disposable plastic; some with glass coverslips. Require no assembly; unlike many standard perfusion chambers / flow chambers. Require no Luer lock connections which increase dead volume. 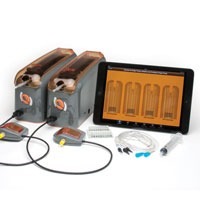 Cellix’s biochips have a unique plug and play connection with tubing connections which are autoclaveable and reusable. See the comparison chart below. These microfluidic pumps are designed for continuous cell culture under shear flow mimicking physiological flow in the human vasculature.